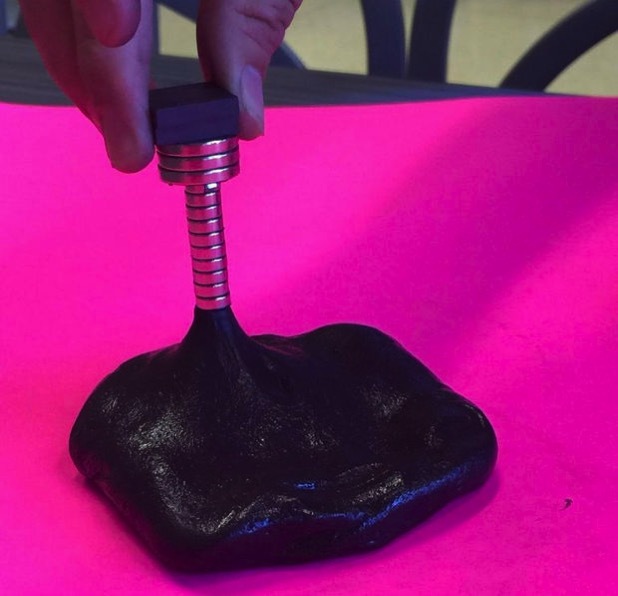 How To Make Magnetic Slime #makereducation « Adafruit Industries – Makers, hackers, artists, designers and engineers! Super fun science project tutorial via ENGL2311. WARNING: Extremely strong magnets are part of experiment. Keep all electronics away while doing this experiment. Make sure to read all the instructions before beginning. Please be sure to wear your plastic gloves during the whole experiment. It is not harmful to your skin, this is only to keep your hands clean. If you feel lost please just do your best this is not a test. Close supervision required if children are present. Magnets are harmful if swallowed! !